Poland has signed potential 10-year offset agreements with Raytheon (NYSE: RTN) and Lockheed Martin (NYSE: LMT) related to the European country’s planned procurement of the Patriot missile system, The Times of Israel reported Friday. “The offset agreements for the Wisla program are signed… This is the final step before signing the contract for the delivery of the Patriot system,” Mariusz Blaszczak, Poland’s defense minister, said in a tweet. 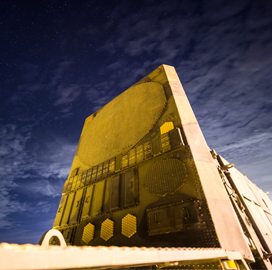 The report said the offset deals with Lockheed’s global business and Raytheon are respectively worth $212 million and $65.3 million and the final contract for the Patriot system could be signed by Wednesday, March 28. The State Department approved in November 2017 Poland’s request to buy the Patriot configuration 3+ system from the U.S. government under a potential $10.5 billion foreign military sales agreement. Patriot is a mobile air defense platform that works to intercept cruise missiles, tactical ballistic missiles and aircraft.